We have had a lot of cloudy rainy days recently. 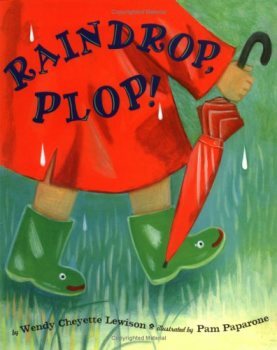 What better way to celebrate the weather than with a rainy preschool lesson theme?! 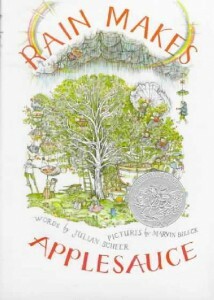 Introduce the theme by putting together the rain/number puzzle from the Rain preschool packet by 2 Teaching Mommies. 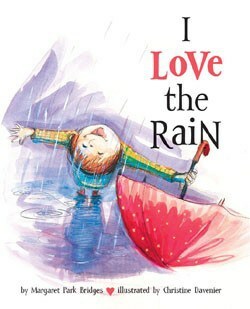 Read I love the Rain by Margaret Park Bridges. Make it rain! 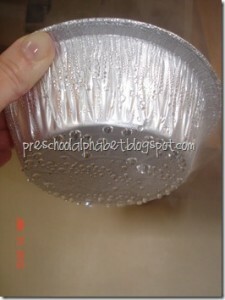 Follow the directions from Preschool Alphabet to conduct this science experiment. All you need is a pot of boiling water and a tin pie pan filled with ice cubes. 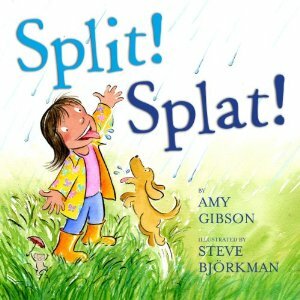 The kids thought it was pretty cool when the droplets started forming, and I was able to throw in the words evaporation and condensation in our conversation. While we were waiting for the water to boil, we did some worksheets from the the Rain preschool packet by 2 Teaching Mommies. We especially liked the lightning letter match: matching uppercase letter clouds to lowercase letter lightning bolts. 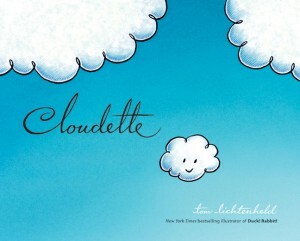 Read Cloudette by Tom Lichtenheld. 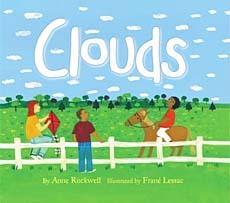 This was a really cute story about a little cloud who dreams of doing great big things. 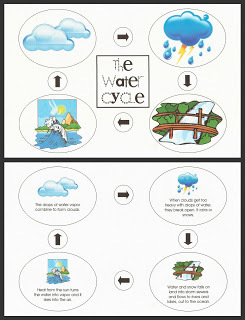 Talk about the water cycle using this image from Deceptively Educational. Sing a few rain songs: Rain is Falling All Around or The Wise Man and the Foolish Man (from the Children’s Songbook). 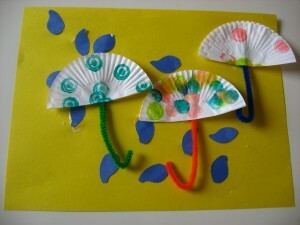 Create an umbrella/rainy day picture from No Time for Flashcards. (Our craft didn’t actually turn out this cute. At this point the children were more interested in playing with ice cubes in a bowl, but oh well). 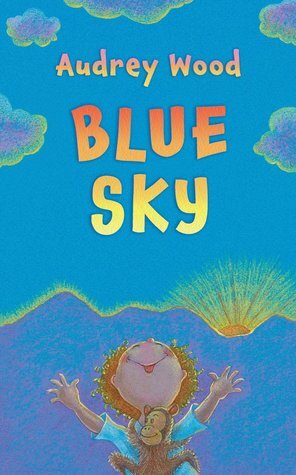 We didn’t have time for Disappearing Clouds by Teach Preschool, but will hopefully get to it later this week (draw clouds with chalk on black paper, then make the clouds “disappear” by painting over them with water). You can find more great ideas at this Preschool Rain/Clouds/Water Cycle Pinterest board.